We had a visitor to the garden today. The cats weren’t impressed as they have never seen a bird this big before and only two feet away from their just-about-to-pop-out eyes. Photo quality is a bit lacking as the shots were taken through either glass or flyscreen. I could have gone outside but human contact with these magnificent creatures is not good. 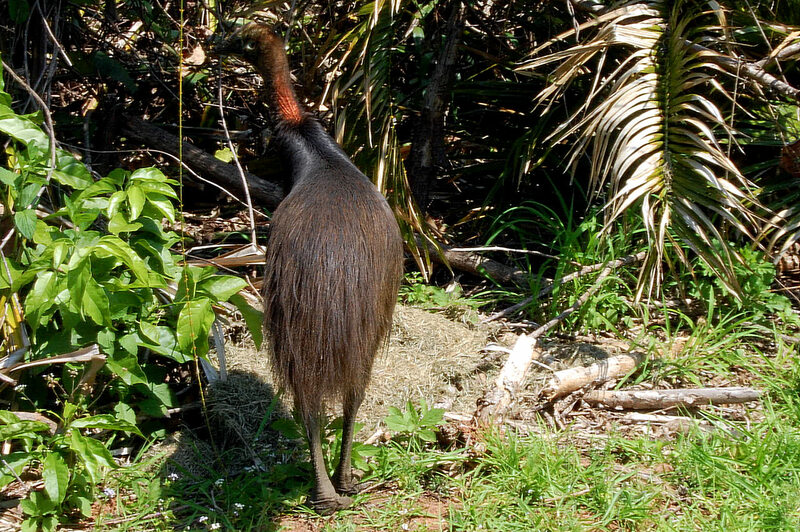 As our local vet says, if you humanise them they end up as Mission Beach cassowaries. They will have little fear of humans and that can lead them into gardens with dogs. This doesn’t end well. This one is just entering adulthood and has the beginnings of some colour on the nape. No sign of the wattle or casque yet. This entry was posted in Photography, Wildlife and tagged cassowary, fnq, Photography, rainforest, wildlife on 2011-09-21 by pete. It is much better to see them roaming free instead of penned up in a zoo no matter how good their intentions may be. Indeed. 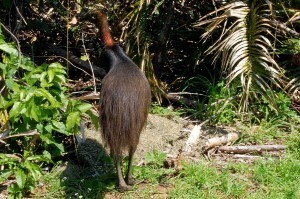 The cassowary plays a very important part in seed distribution in the forest. 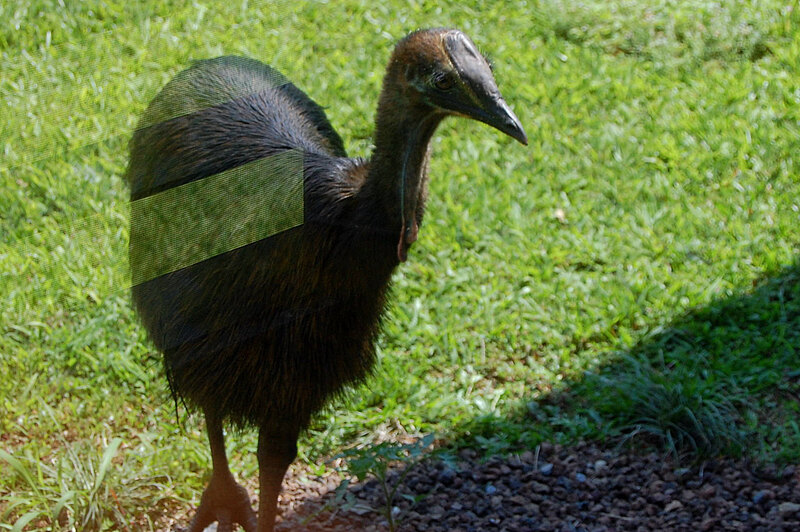 The problem up here was well described by our local vet (probably the world’s leading cassowary expert). 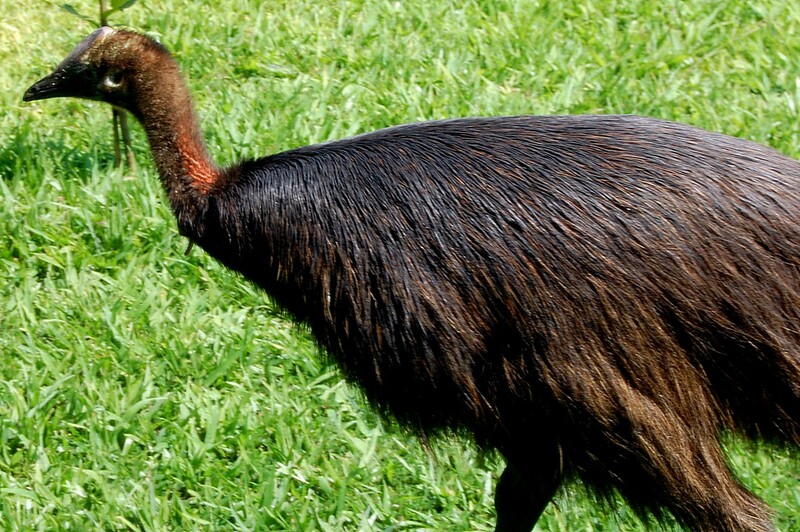 He says there are two types: cassowaries and Mission Beach cassowaries. The latter are ones that have been fed by people and now have little fear of people, dogs and cars. Three cassowaries have been killed by cars in the last three weeks.